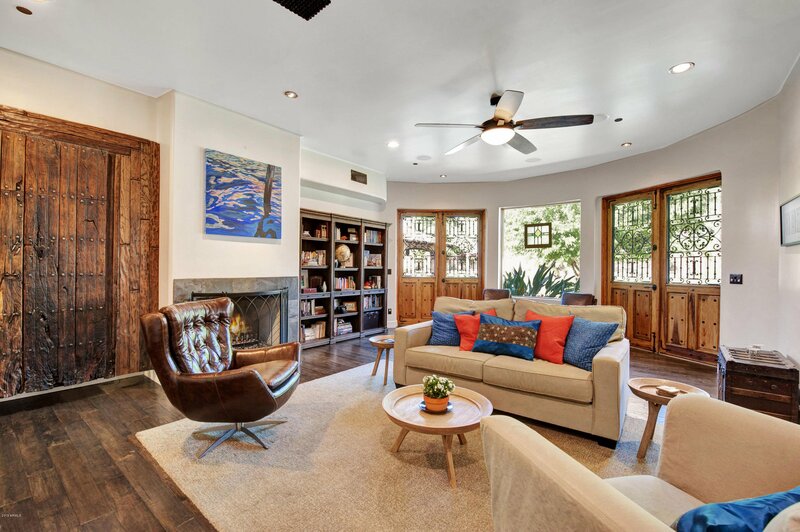 This eclectic estate home is infused with unexpected design elements and stunning visual elements, creating a warm, authentic and harmonious environment. 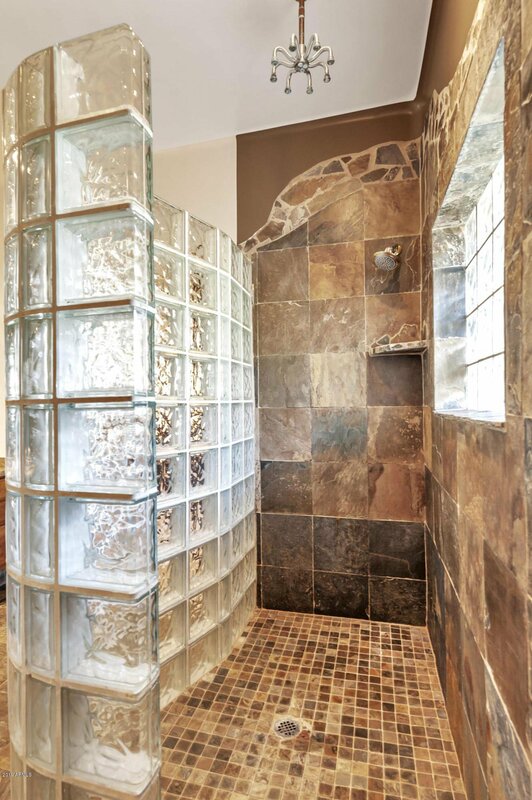 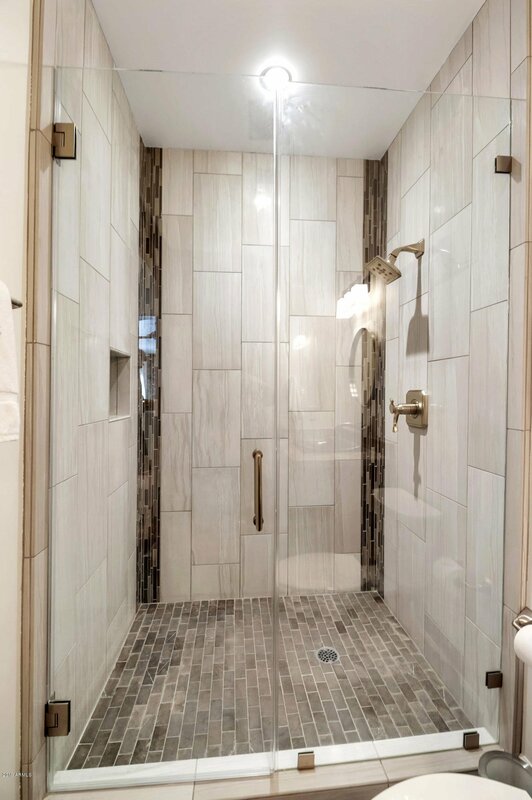 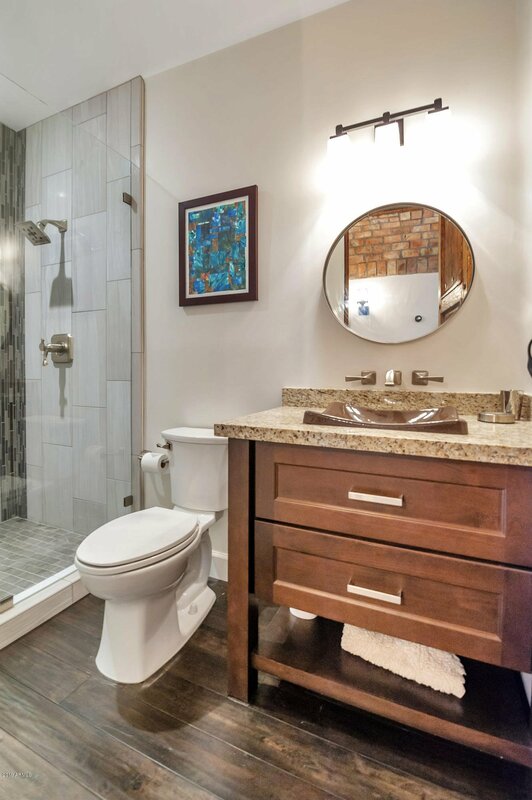 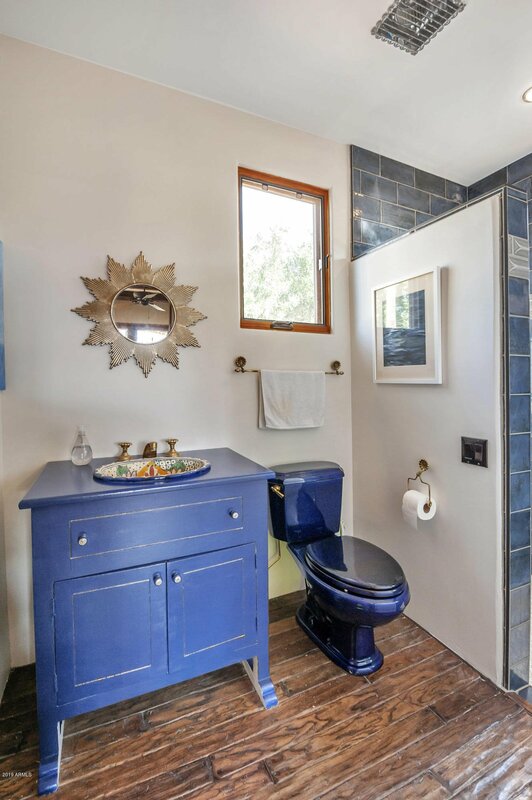 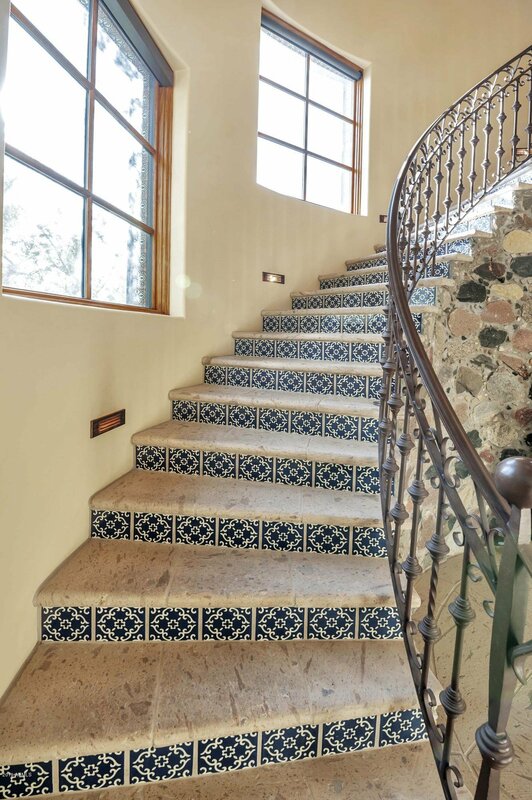 Construction and design were artfully completed with the highest quality materials, found objects, exquisite architectural elements and sophisticated details. 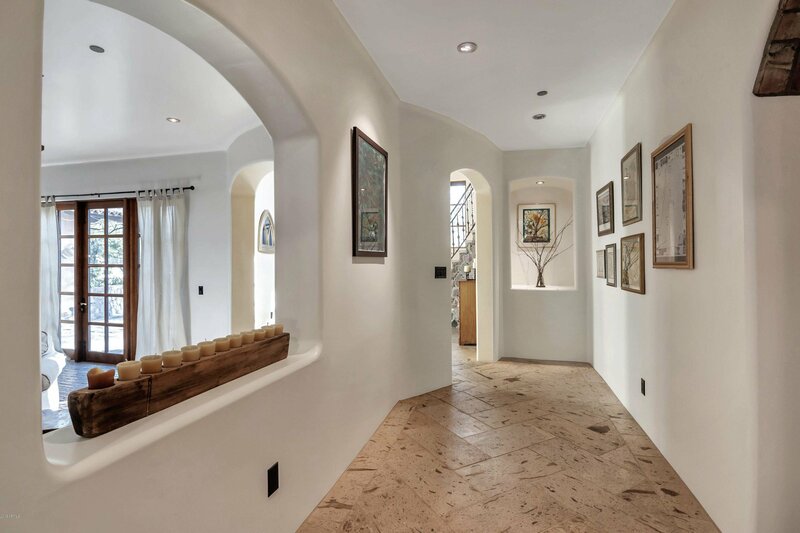 Upon entering the courtyard, it is immediately evident that one is in for a singular experience. 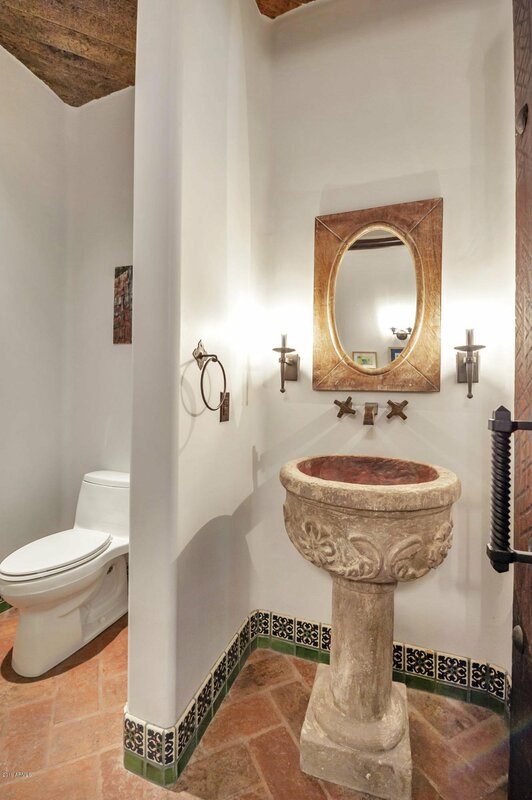 The courtyard features hand-carved stone pavers and a hand-carved Cantera stone fountain. 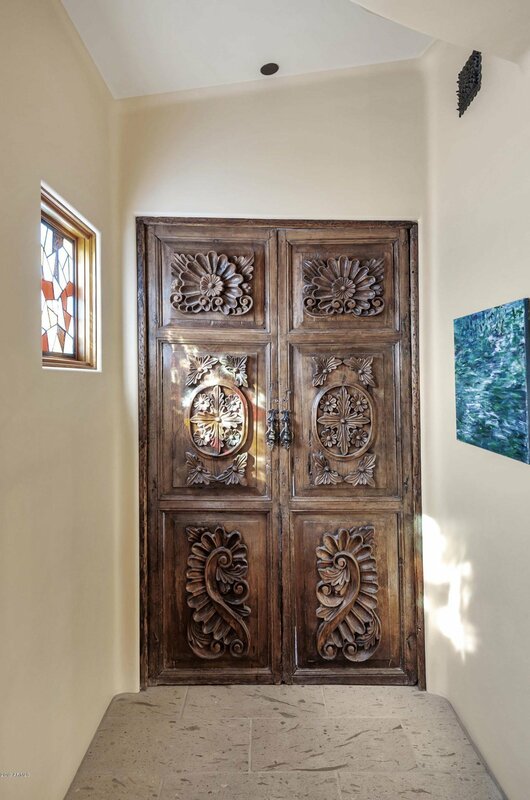 From the inviting hand-carved front door, you can tell this is a house you feel, not dissect. 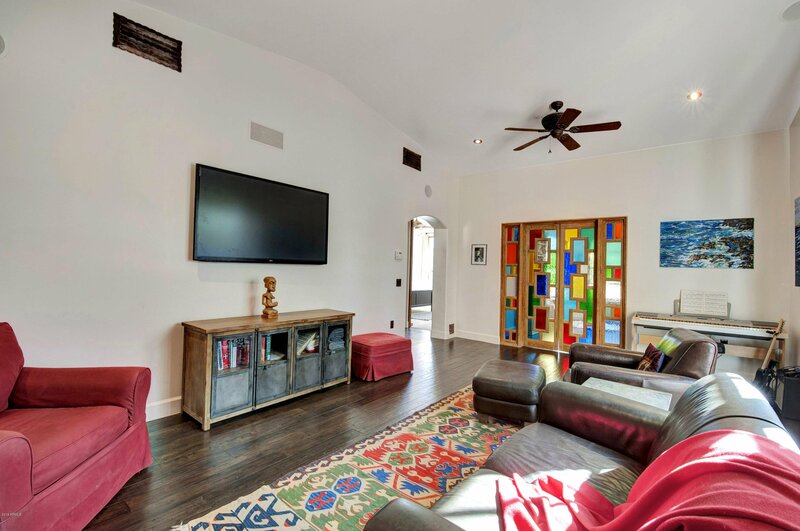 The floorplan perfectly captures the site and living spaces, carefully using design elements to create harmony in textures, colors, space, location, size and scale. 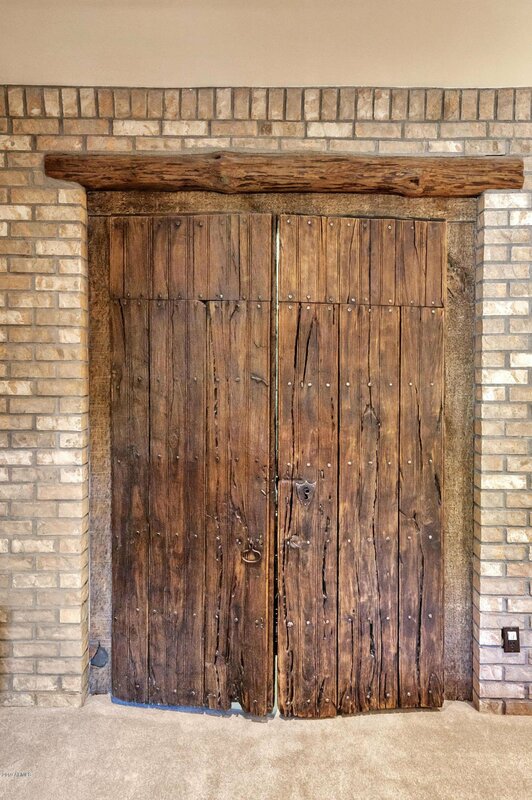 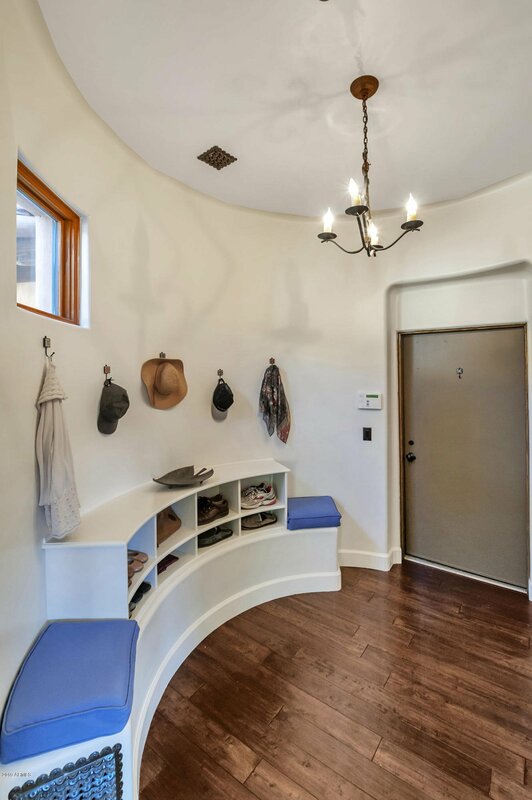 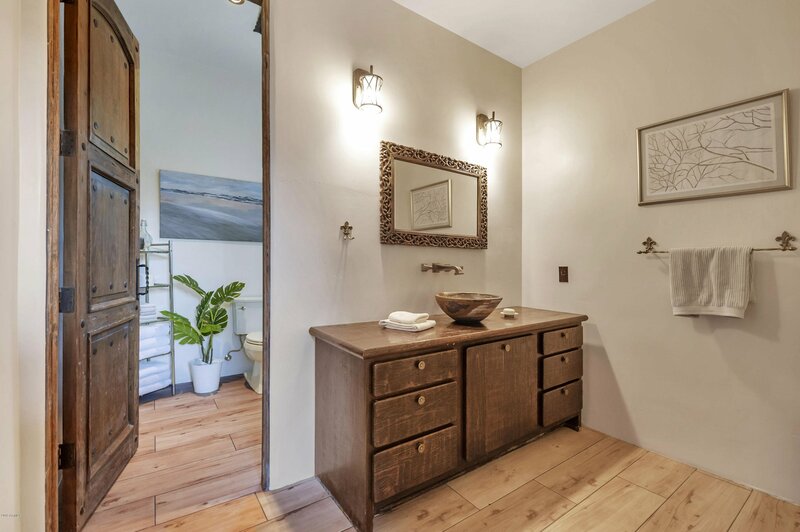 Handcrafted and re-purposed doors are featured throughout the home. 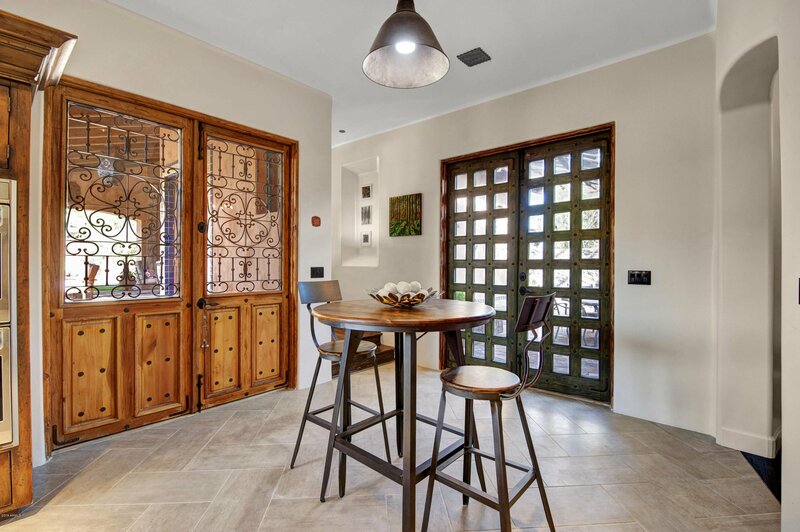 A series of French doors surround the lush and spacious backyard, adding a light, bright feel to the home. 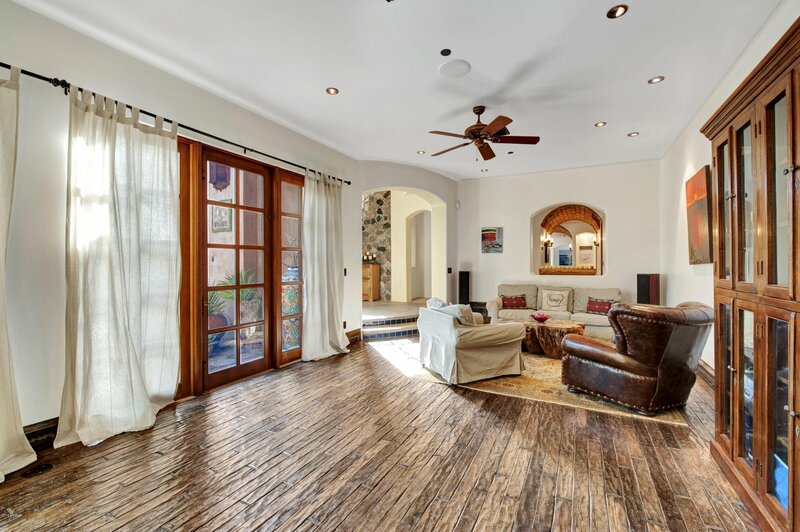 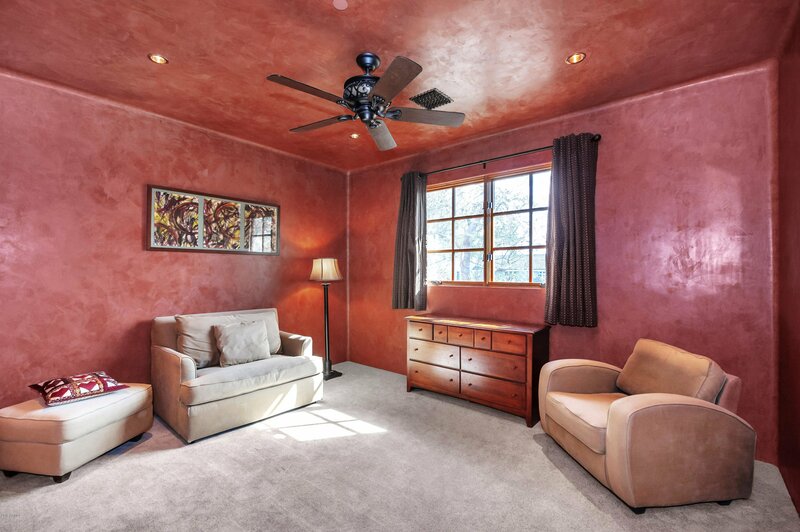 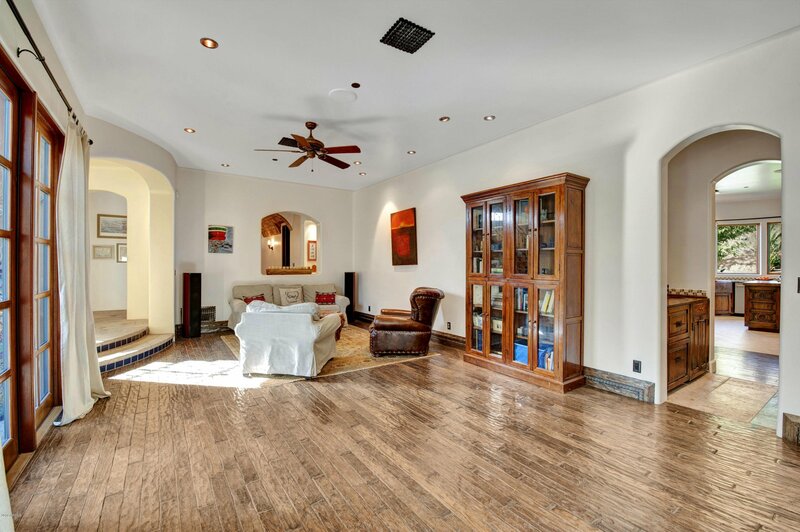 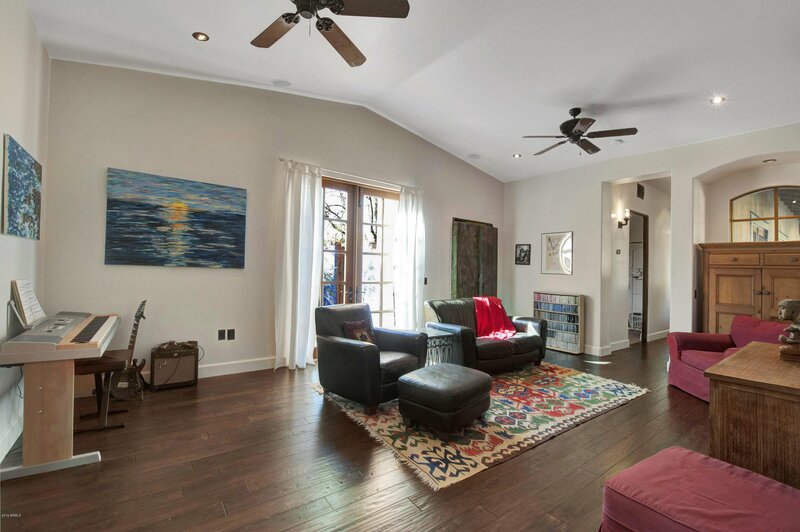 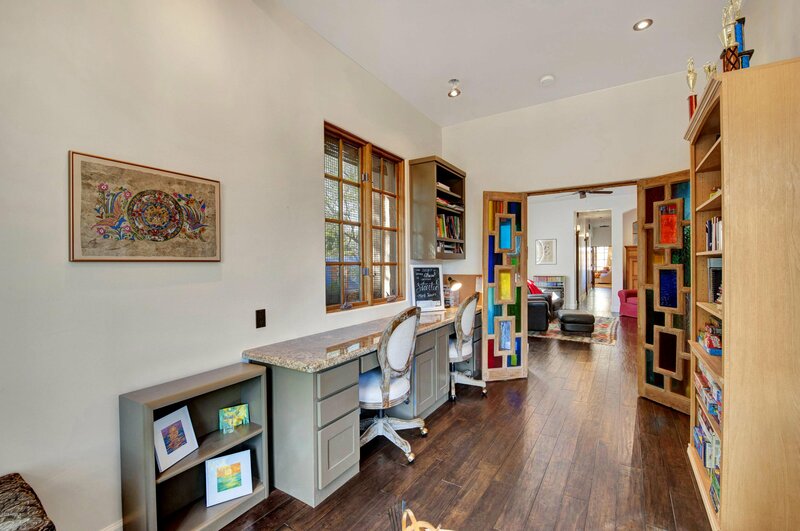 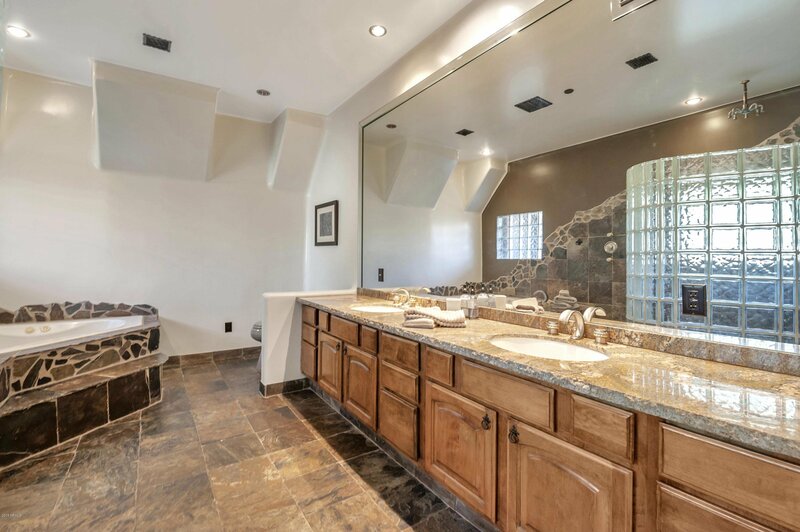 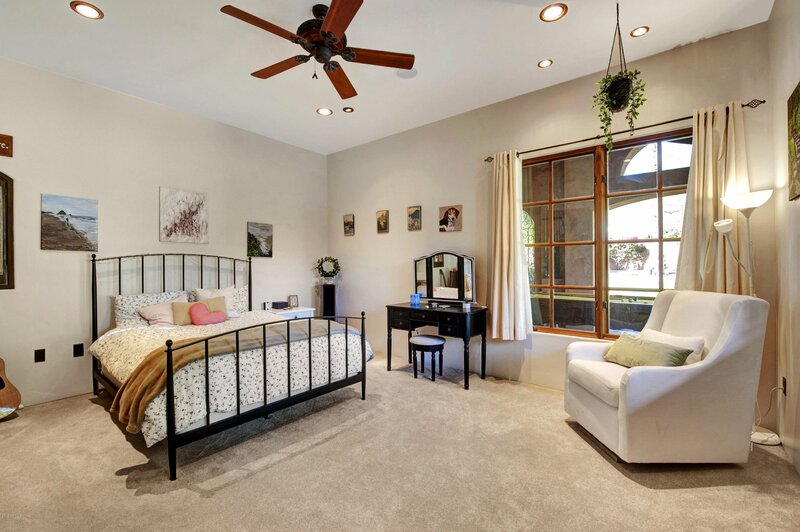 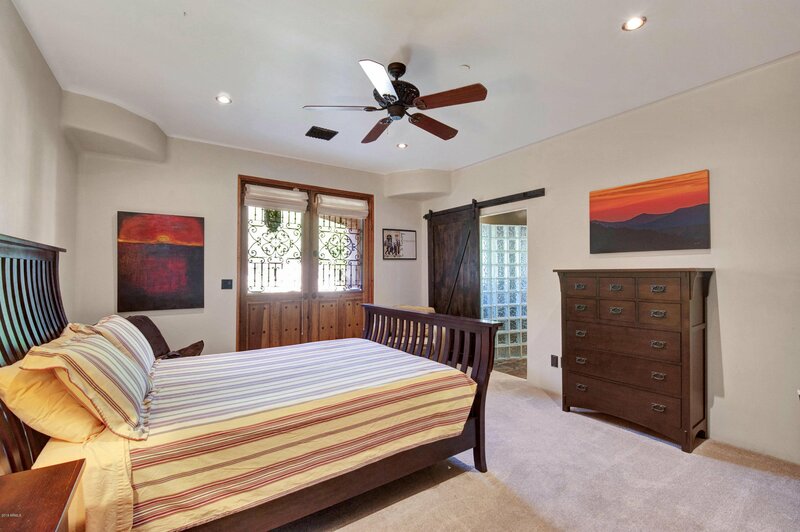 Located on a one-half acre+ lot in the heart of Arcadia, the home features breathtaking views of Camelback Mountain. 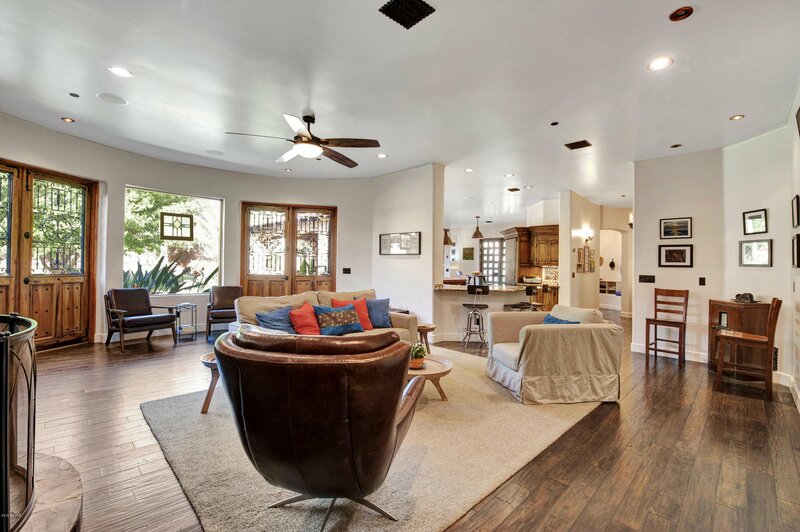 Two outdoor living rooms are featured, one at each wing. 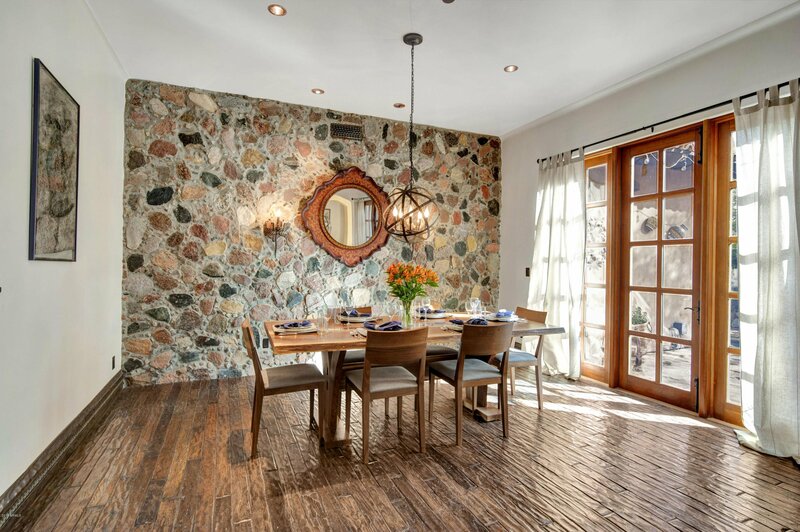 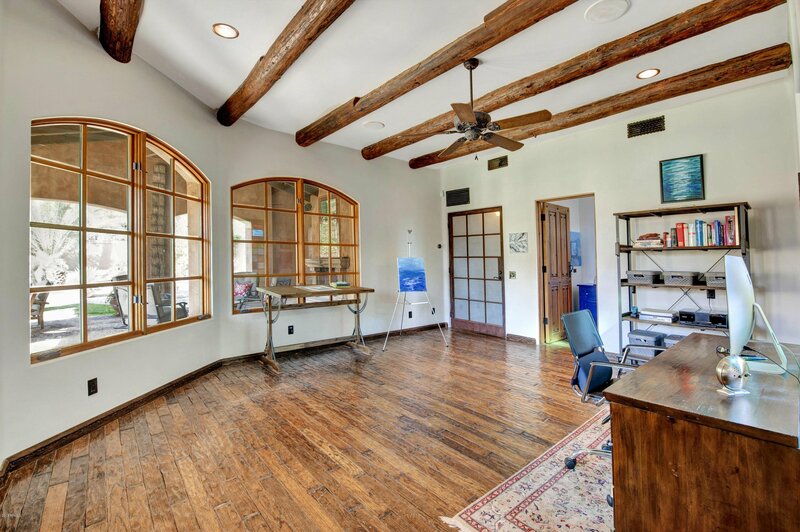 The living/dining room and office feature wood floors reclaimed from the deck of a wooden ship and one-of-a-kind baseboards. 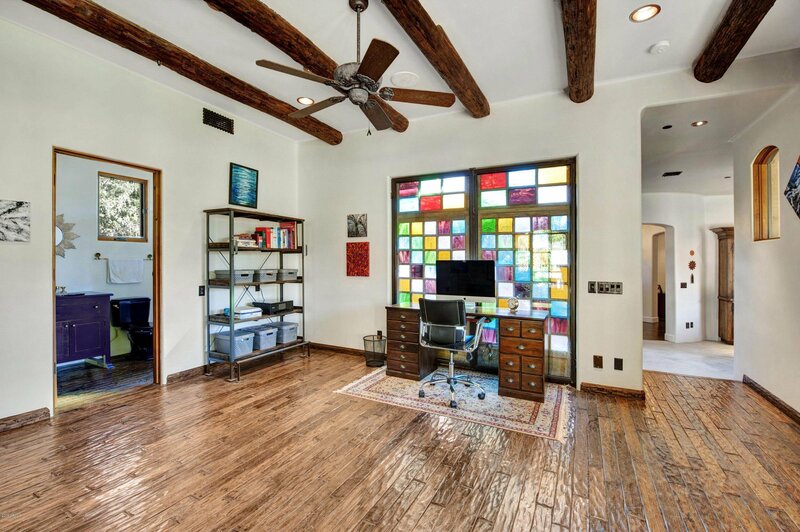 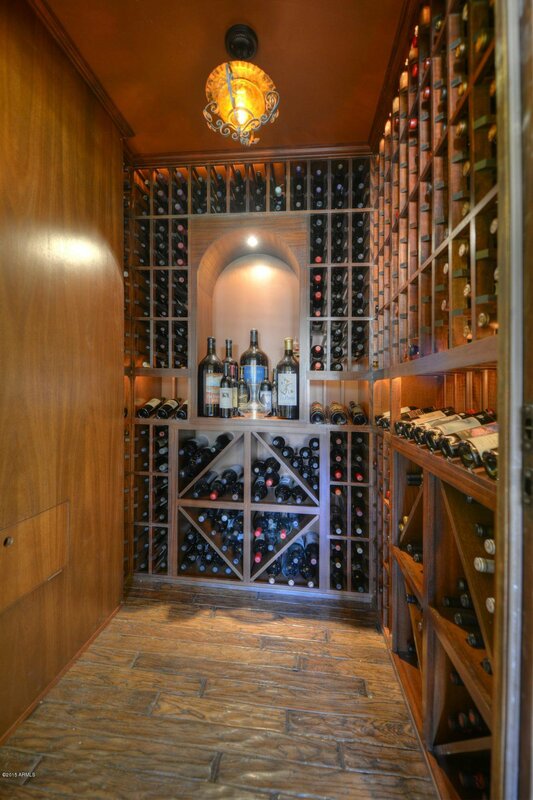 A library/office with built-in window seating and a cooled wine room provide additional unique features. 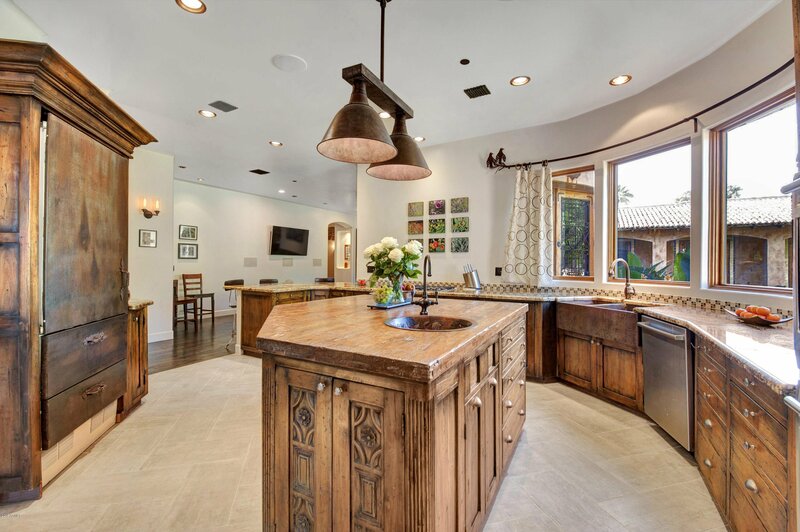 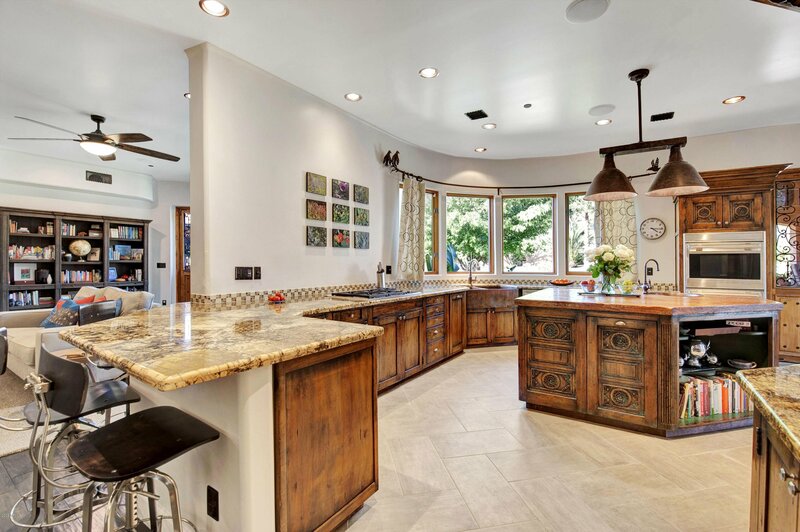 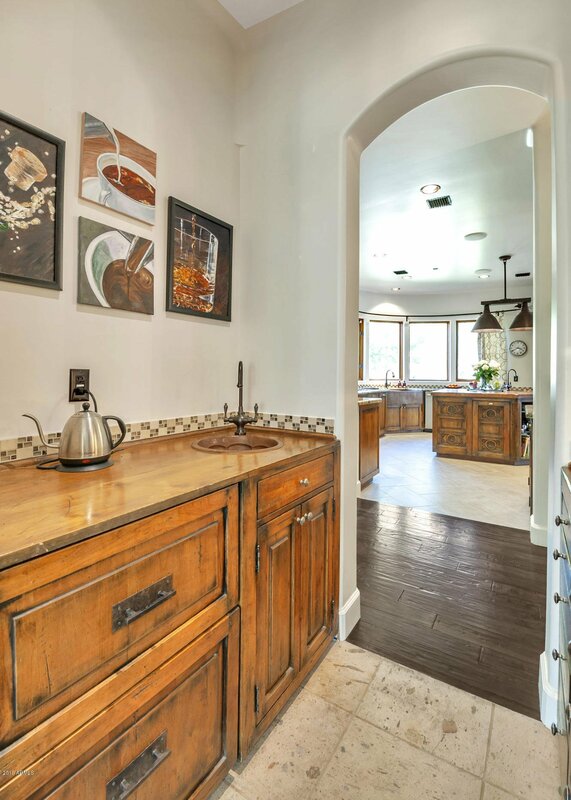 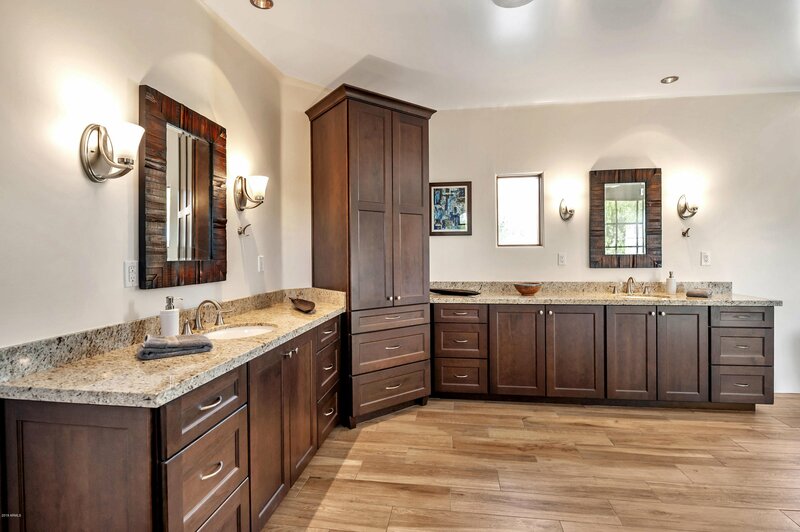 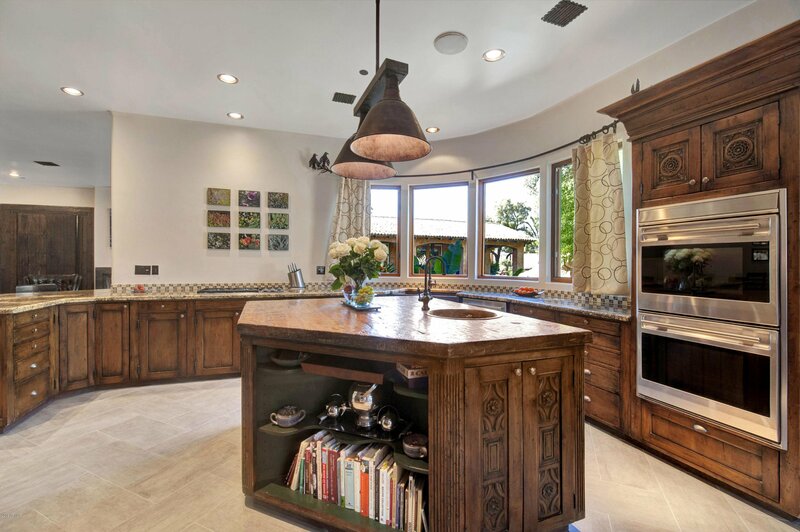 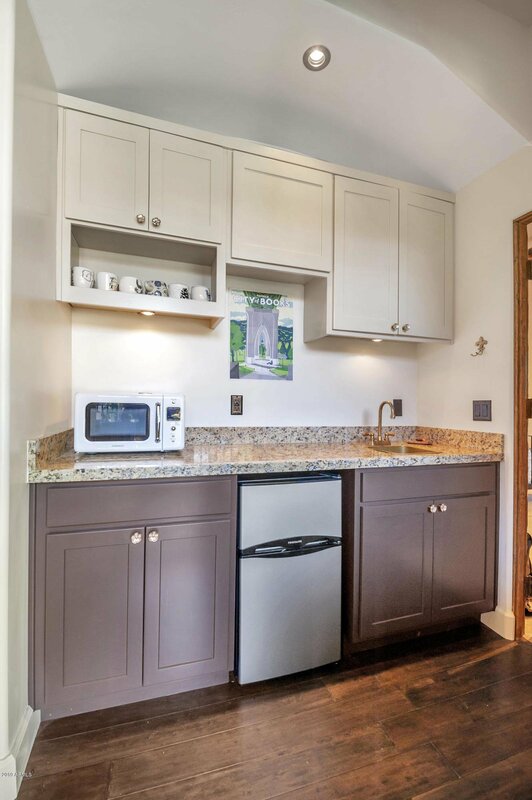 Handcrafted kitchen cabinets with stunning granite and wood countertops, along with an enclosed kitchen courtyard with raised herb garden, enhance the culinary experience. 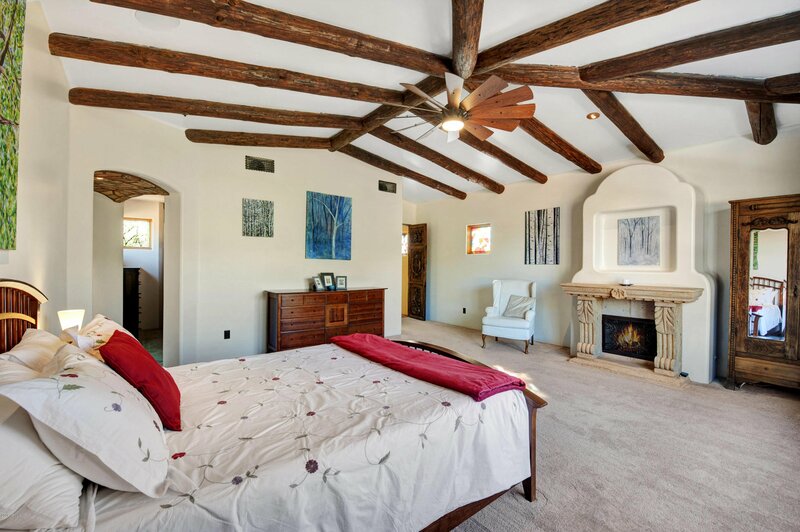 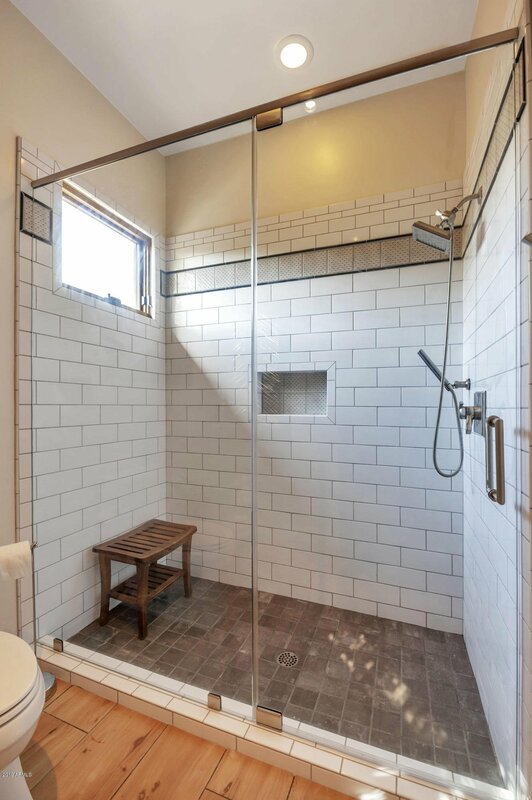 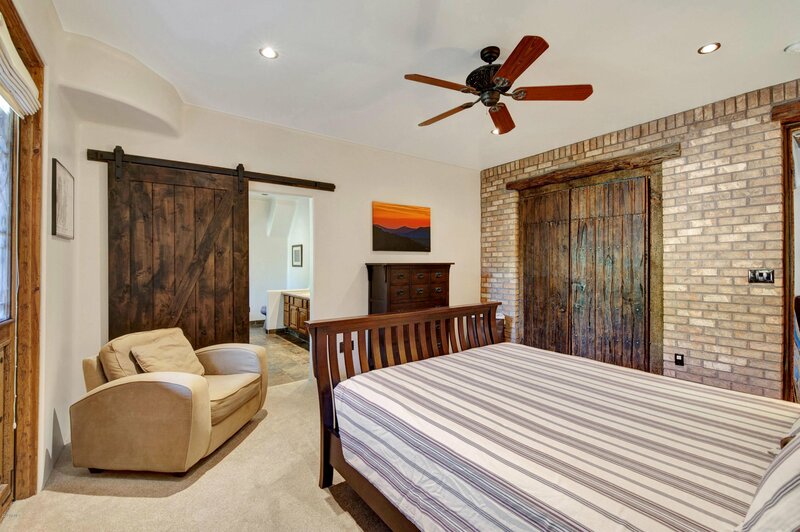 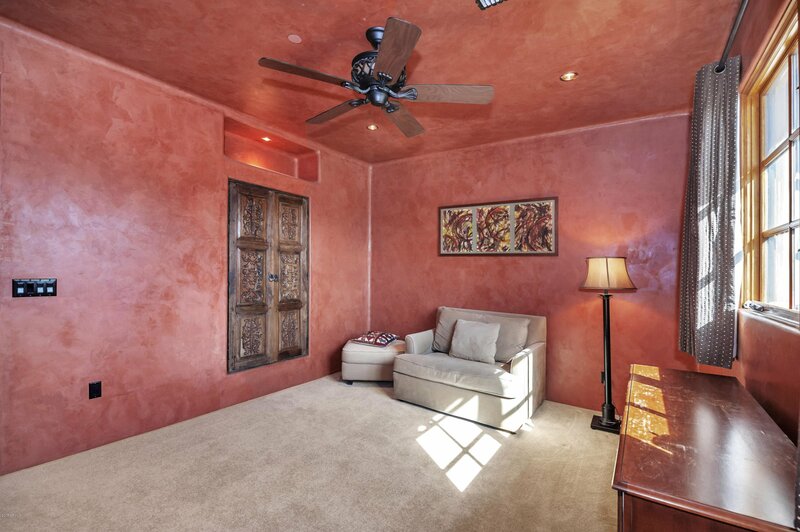 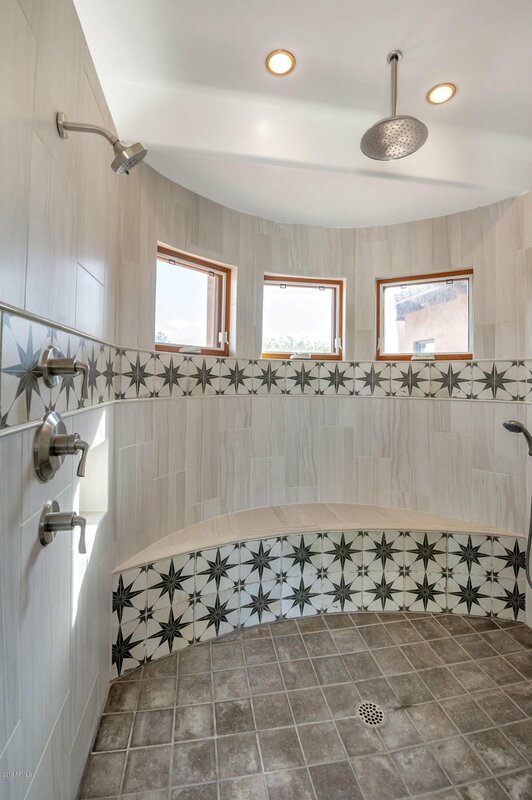 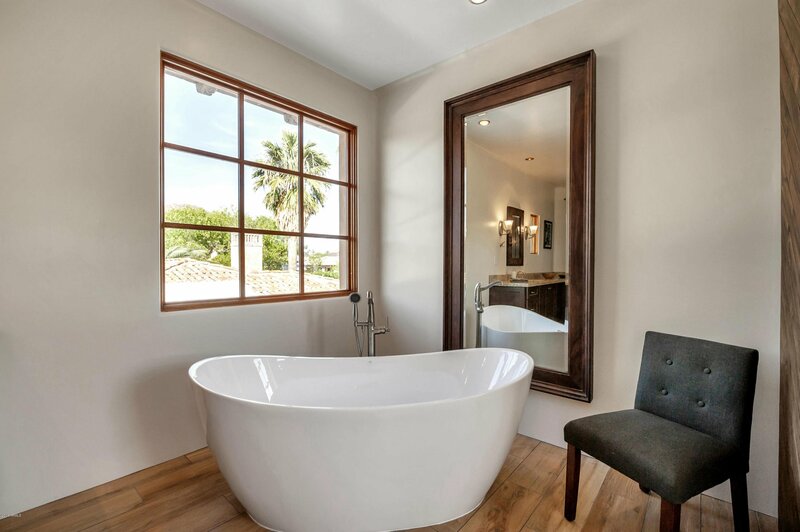 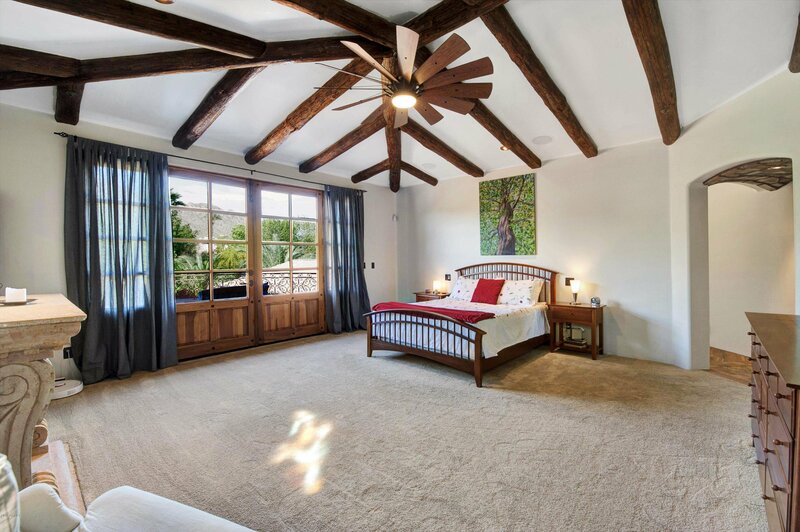 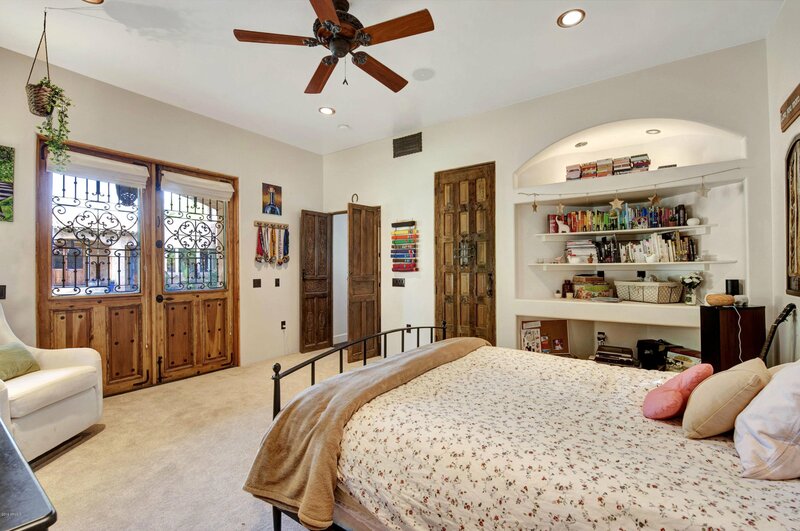 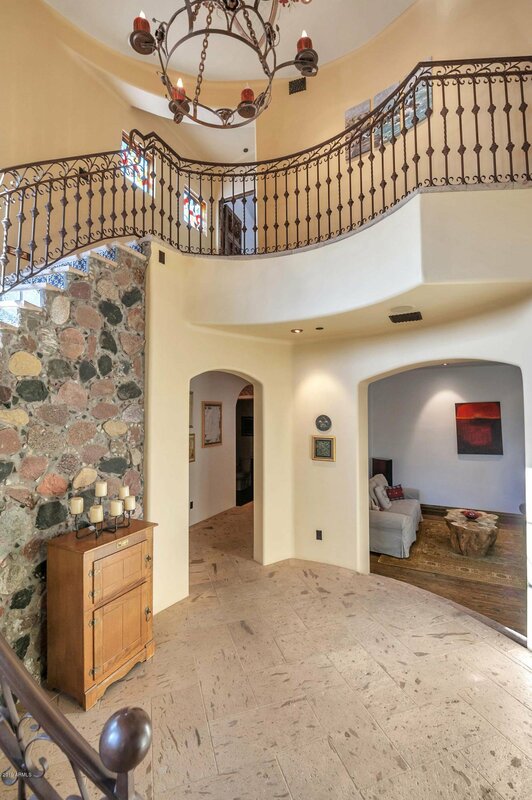 Wrought-iron handrail, Cantera stone treads and hand-painted tile risers lead to the upper-level secluded master suite, with French doors opening to a balcony overlooking the backyard oasis and Camelback Mountain. 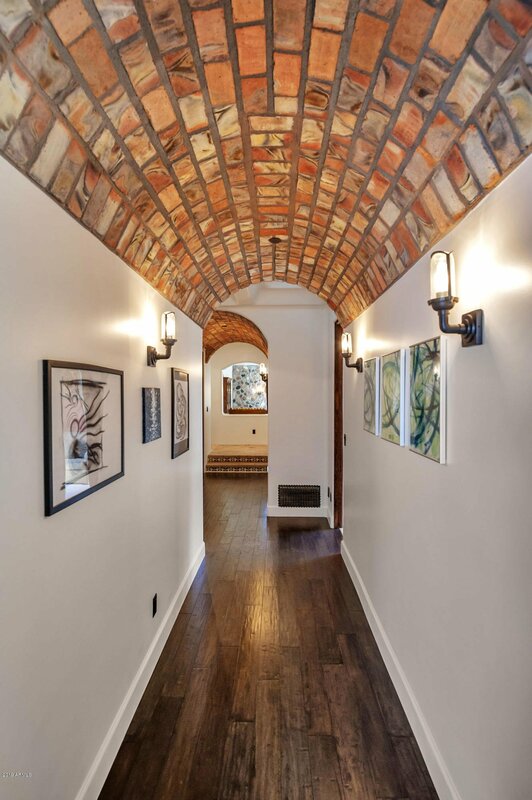 Barrel vault ceilings, wood beams and stained glass are just a few of the details that lend warmth and character to this one-of-a-kind home. 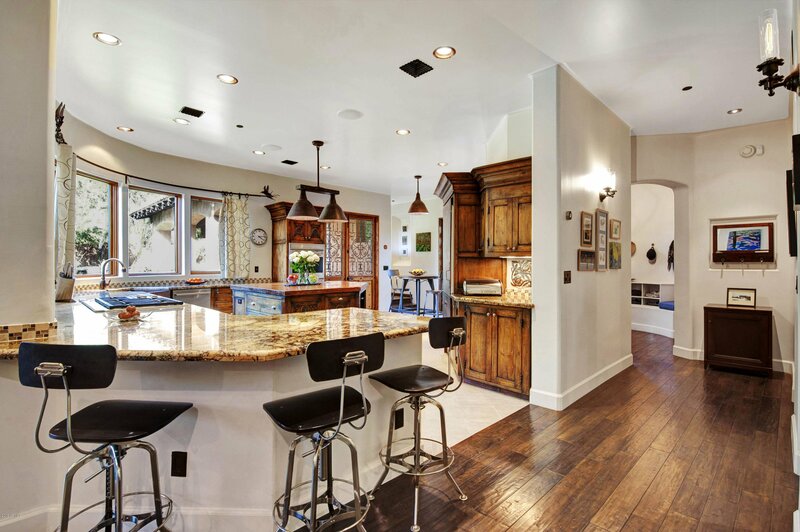 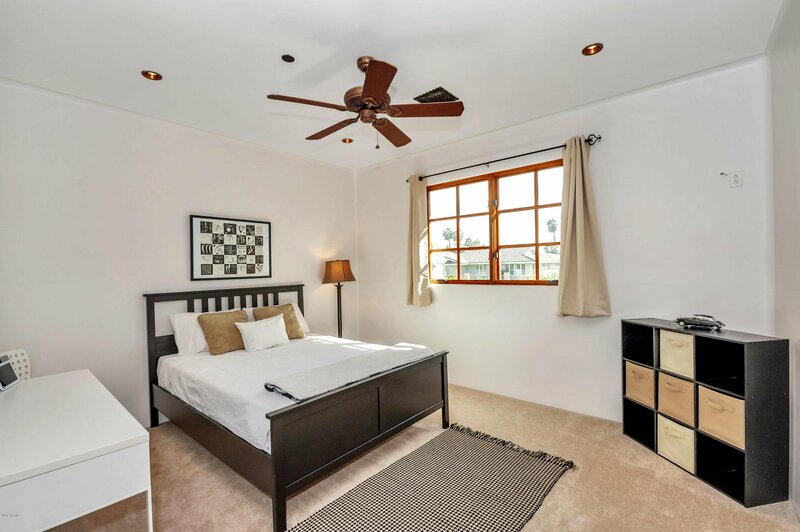 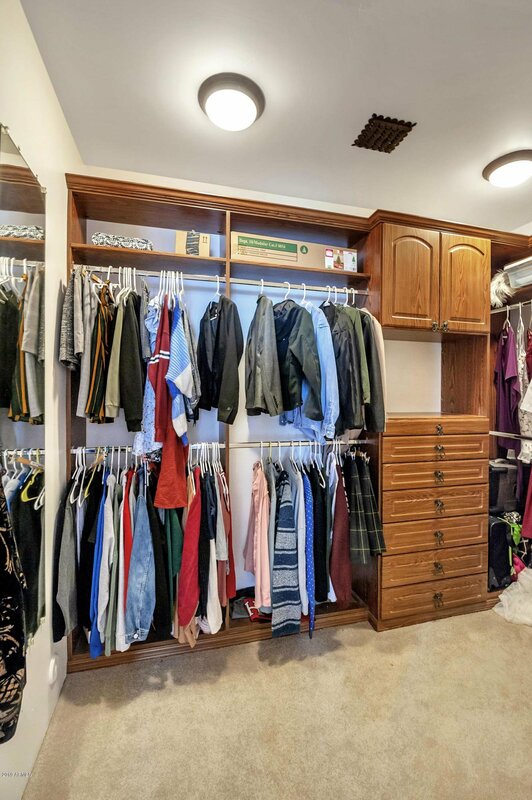 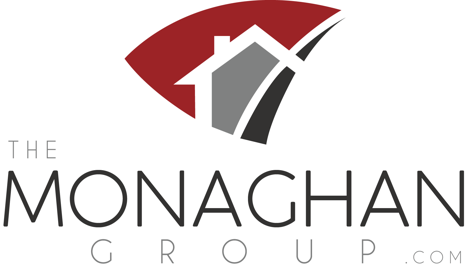 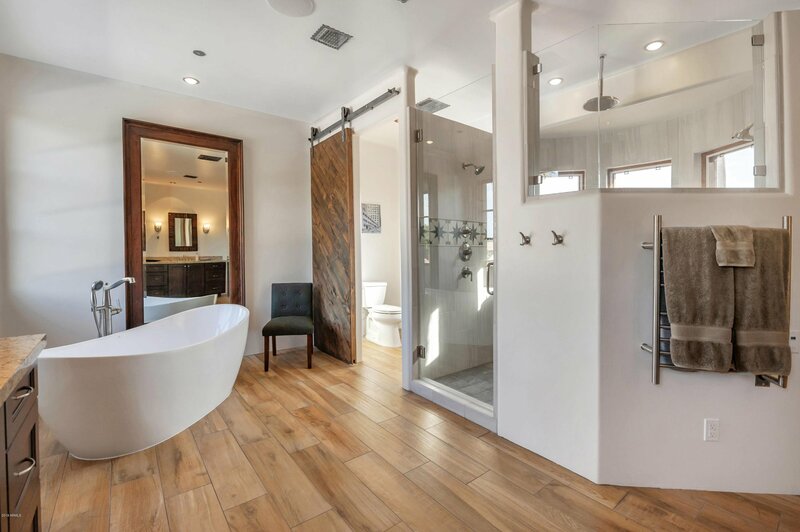 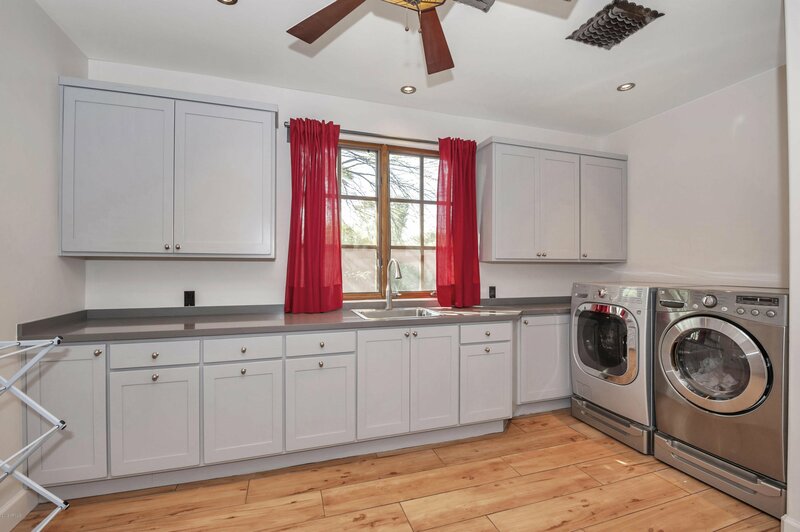 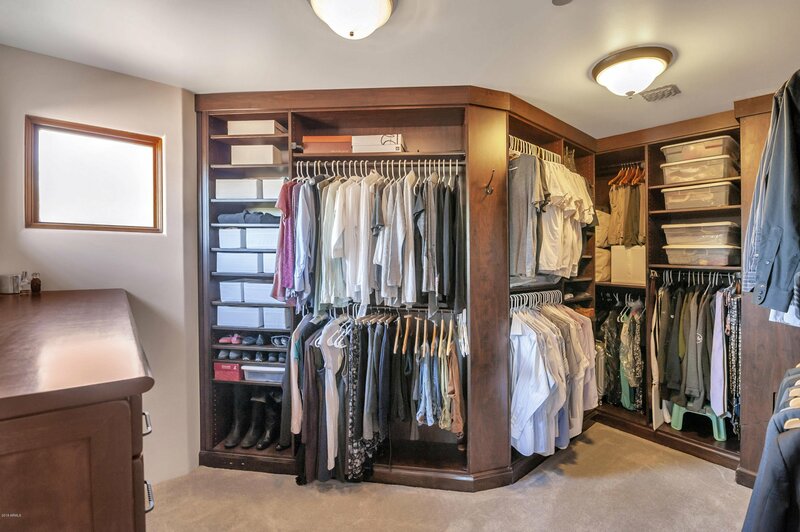 The home was recently updated by the current owner in all the right areas, while maintaining unique and timeless finishes that you won't see anywhere else in Arcadia.